We can safely assume that whoever hasn’t heard of the phrase: ‘An apple a day, keeps the doctor away’ must be someone from the medieval era. Scratch that. Even they would have lived by that rule. Apple in itself is a deciduous fruit tree that is part of the rose family, something that most of you would not have known. The apple tree is cultivated worldwide for the sole purpose of the juicy fruit that it produces. 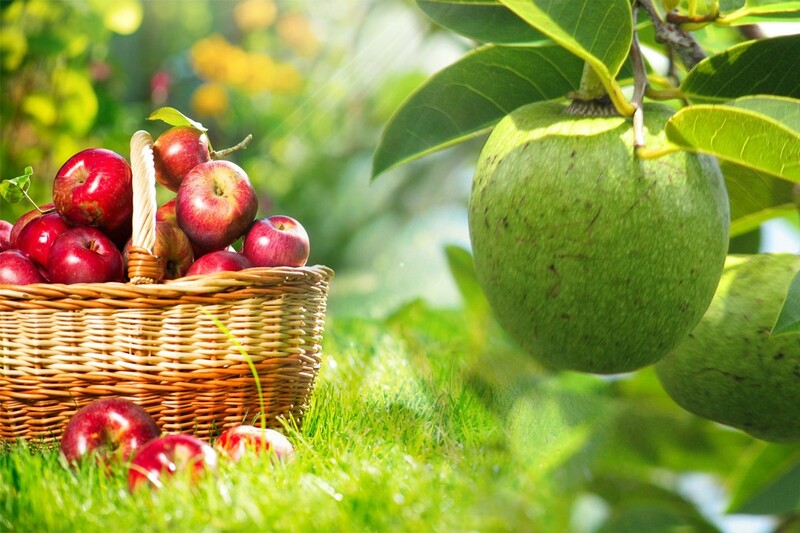 Apart from the plethora of health benefits that we are going to discuss later, there are a lot of breeds of apples that are popular for their succulent and sweet nature. Apples are part of so many cuisines all over the world and used in juices, pies, cakes, cobblers, pastries and several other cooked items. Then again, it is also popular enough to be consumed just as is or by slicing it so that you don’t have to eat around the stem. With the worldwide demand, it is a no-brainer that the fruit would be produced all over the world. 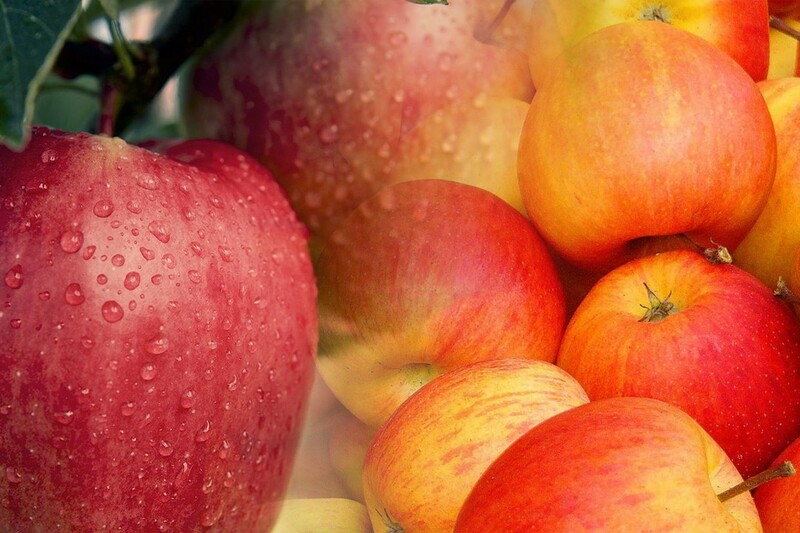 Asia is the largest provider of Apples in the world which is largely due to the efforts of a single country, China. 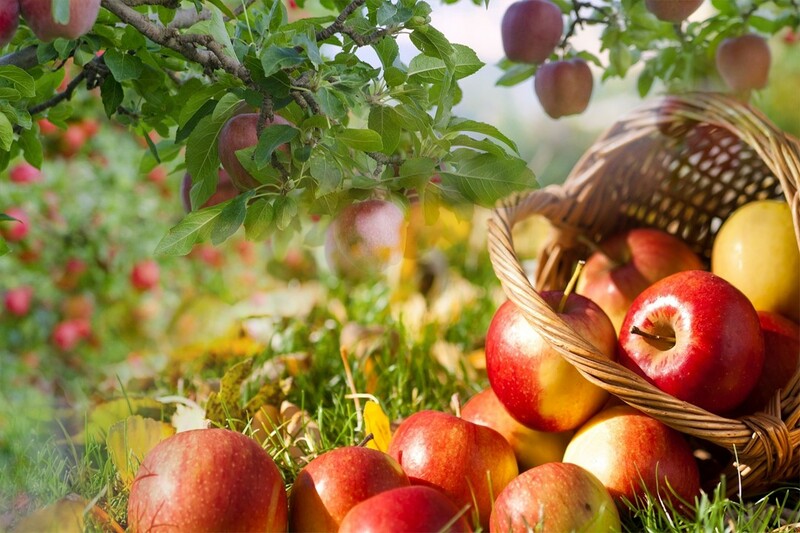 The country produces more than 56% of the world’s total apple supply which is astonishing in itself. Apart from China, India and Iran are also significant producers of apple in Asia. Europe only has Ukraine in the list. However, the European Union as a whole is the second largest supplier of apples in the world. Eurasia has two countries with Russia and Turkey. South America also has two countries low in the list with Chile and Brazil. 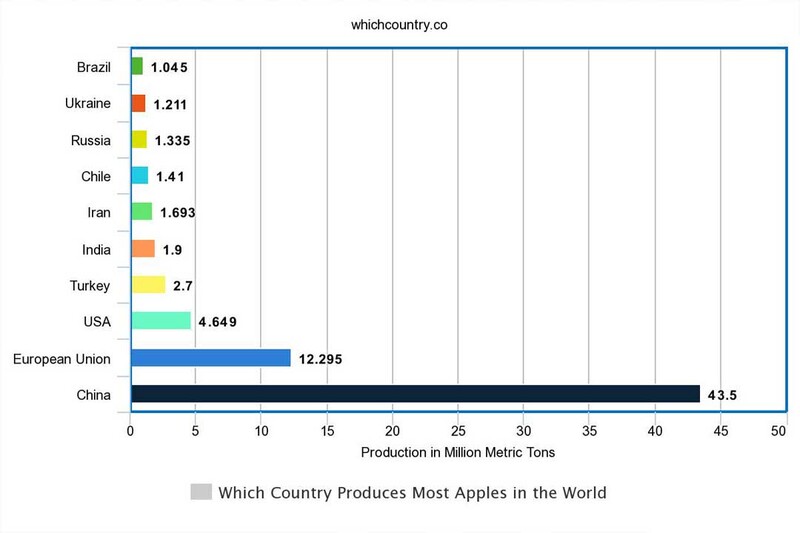 The USA rides high in the apple production market with it being only behind China when it comes to individual country production. There is a lot of sayings about eating apples which are made for a very good reason. Apples not only have numerous health benefits but are also good alternatives to the high strung and high protein diets that are bad for our health. Apples have a high fiber index which is the reason why it aids in digestion with ease. A large amount of fiber in apple helps stimulate digestive juices and also makes absorbing nutrients from the fruit easier. The reason Apple is hailed as a wonder food is that of its properties that help patients recover from illnesses quickly. Apple not only invigorates the body, but it also does a great job of detoxifying the body when it is receiving high-carb, high-protein foods. One of the benefits of apples that many people don’t know is that they are also good for your dental hygiene. The anti-bacterial properties of the fruit prevent cavities from forming in the teeth. Apples are helpful in managing diabetes as well because even though it is very sweet, it has a very low glycaemic index. Apples are also helpful in preventing heart and respiratory diseases.